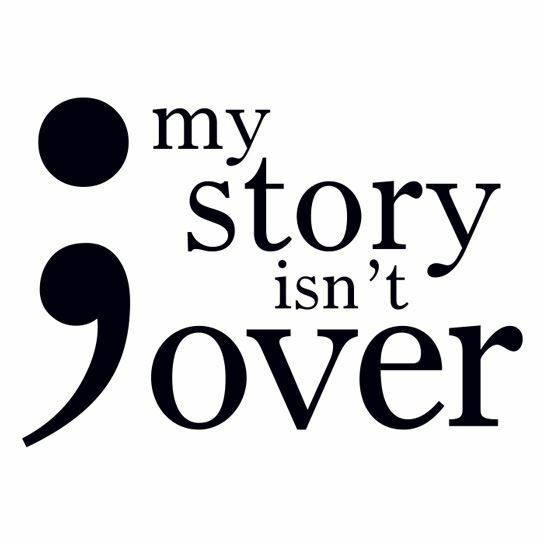 The Semicolon Project is about drawing a permanent or temporary semicolon somewhere that you can see it. It’s a reminder to yourself that while you could choose to end your life, it’s so amazing that you choose to keep going. We can’t change the entire world overnight. Believe us, we would if we could. The rampant discrimination against LGBT people is downright ridiculous. And when you add in various splashes of race, age, gender, background and region, it truly does affect all of us. There are very few LGBT youth not affected by the opinions of other people. It’s always been unfortunate to see people spouting anti-gay views and then using their personal beliefs to cover it up. We have no problem with Christians or any other religious group. However, when you use your personal beliefs to draw policy for the nation, that’s when things start to get pretty complicated. First and foremost, why should your views impact an entire nation? If someone outlawed being Christian or discriminated against you for your beliefs, you would be outraged. But people think nothing of gays being bullied and intimidated, because it doesn’t line up with their worldview. The thought that no one can possibly accept them is why many LGBT teens lose the battle and end their lives. If we can be one more positive light in the fight against deep depression and suicide ideation, we are more than happy to do that. If you are having a rough time in your life, know that we are here to help. You can reach out to us, or you can call a hotline where you can talk about what you’re going through. No one is going to judge you; they’re there to help you with your problems. Think on it, seriously. Life is too short to believe that you’re here all by yourself.